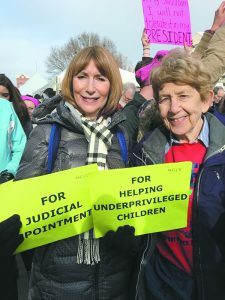 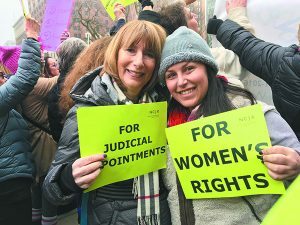 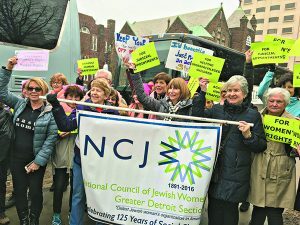 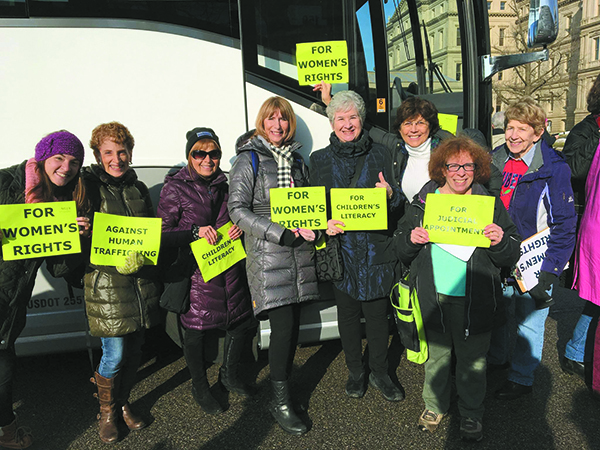 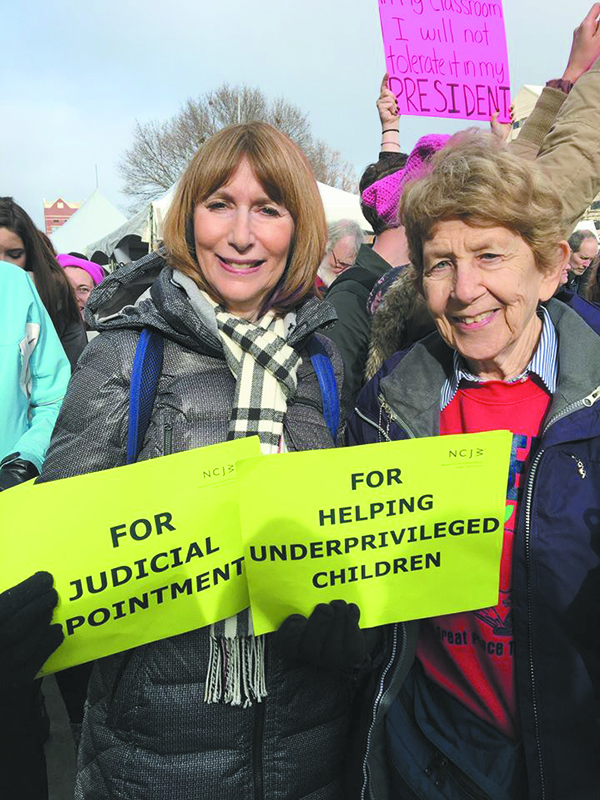 Members of National Council of Jewish Women, Greater Detroit Section (NCJW/Greater Detroit) marched Jan. 21 with 8,000 others on the streets of Lansing in support of human rights, civil liberties and social justice for all. 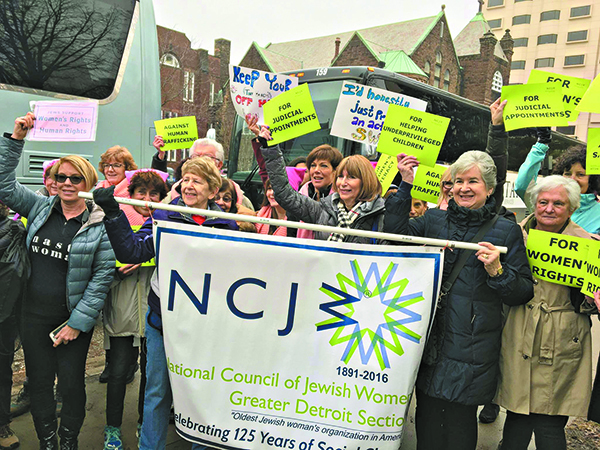 Irma Glaser, NCJW/Greater Detroit state policy advocate, and Sandi Matz, section president, led two full buses of members and supporters. 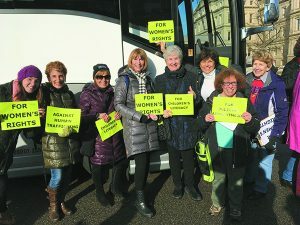 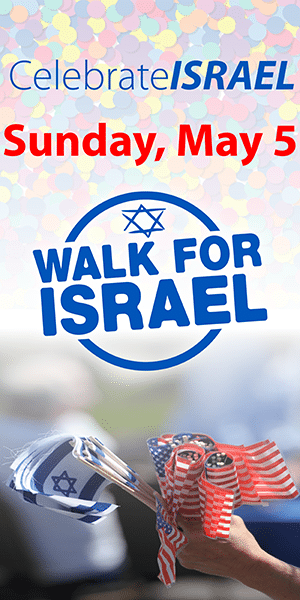 It’s just a shame none of them marched (or did anything at all) when the bus with the Jewish girls team was stoned by the African American students of the Conner Creek academy not really all that long ago.